Showing both long-distance and up-close views of natural landscapes allows Oak Leaf Studio artist Leif Trygg to show both intimate details and broader settings. 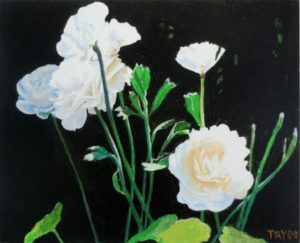 This month Trygg debuts two new paintings. 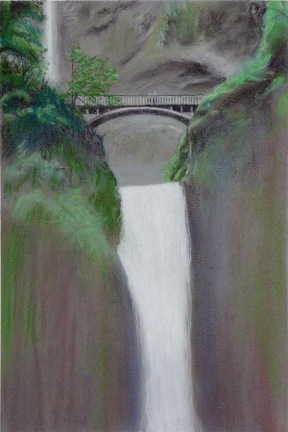 Multnomah Falls is a pastel picture while June Blooms was created in acrylic paints. Both will be on display during the month of July.